Tennis greatMartina Navratilovasaid her salary for Wimbledon commentary was no match forJohn McEnroe’s― and she’s slamming the BBC for the disparity. Navratilova said in a BBC Panorama documentary to air Monday that McEnroe earned at least 10 times more than she did for BBC coverage of the Grand Slam tournament. 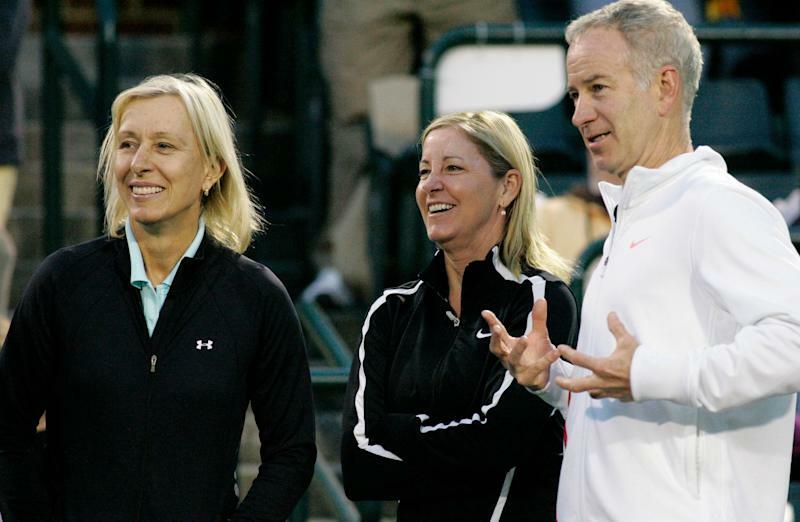 Martina Navratilova, pictured left with Chris Evert and John McEnroe in 2012, said she was told by the BBC that her pay was comparable to McEnroe's. Navratilova made about 10 appearances compared with 30 for McEnroe during Wimbledon, BBC Panorama estimated,per the Telegraph. McEnroe’s earnings came to light last yearwhen the BBC published a list of its highest-paid personalities, putting his pay between £150,000 and £199,999 ($210,560 to $280,740), HuffPost UK reported. The tennis championships last about two weeks. When told that the BBC may use McEnroe’s greater hours as a defense, Navratilova said the disparity still didn’t add up. She said she was told that she and McEnroe were making a comparable wage. “It makes me angry for the other women that I think go through this,” she said. Reps for McEnroe didn’t immediately respond to a HuffPost request for comment.